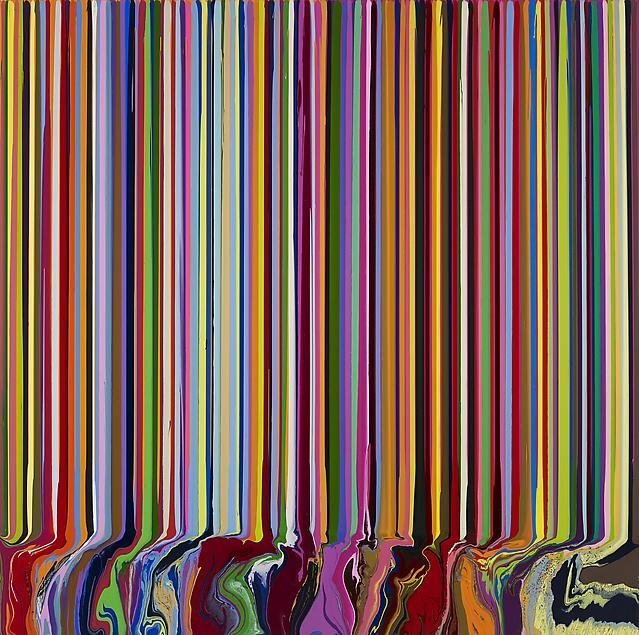 Ian Davenport: Colorfall is comprised of a selection of new and recent paintings epitomizing Davenport's unique approach and artistic vision - one that he has developed to investigate color, movement, light, and surface. The exhibition will be on from 13 September. The former Turner Prize nominee explains his new body of work was inspired by placing historical masterpieces in conversation with modern technology, such as Photoshop. Davenport says, "By following the color sequences from another artist's palette, I am able to explore and question my own choices of line and hue. Photoshop is also used to establish a framework, from which I introduce an element of chance."